Once travelling in the galaxial path, mother Lakshmi happened to meet Shani deva. Both being very top authorities of the universe, entered to into an argument as to who must leave the way for the another. Ending into a no-acceptable solution, they reached out to Indra, Brihaspati & then to the most respected trinities. But, the confused trinities were too not able to converge to a good decision.Finally, Lord Vishnu suggested to reach none other than devarshi Narada, who alone could pacify the candidates.Narada appeared there & then. Hearing to both sides, he requested Lakshmi devi & Shani deva to walk together to & fro as many times as they could !. In the course of their walk, Narada use to appreciate in a loud voice - "Very nice ! Very nice ! ..... "To this, the trinities with others run to Narada & ask who is supreme.Narada smiled & then replied - "I have observed Lakshmi devi & Shani deva very minutely. Their walk styles are highly attractive. It gives me equal comfort when I witness them here or anywhere. I rate them equal hence. "But this was certainly not an expected outcome for anybody round there. The annoyed devas asked Narada to pacify them with a more intellectual reply. Narada disclosed - "Though the walk styles are equally attractive, still, there is a difference !! "And, what is that difference? "It is nice to see Lakshmi walking towards me & Shani walking away from me." (i.e it is good while Goddess Lakshmi entering once life and it is good while Lord Shani leaving once life) "Therefore, the enjoyment is entirely time/requirement dependent...." "Time & time alone distinguishes the importance of Lakshmi & Shani. They are equally respectful otherwise & else. "Pacified devas & trinities supported Naradas's brilliant view of tackling the problem in one voice.On the other hand, Lakshmi & Shani also blessed Narada & saluted each other also. 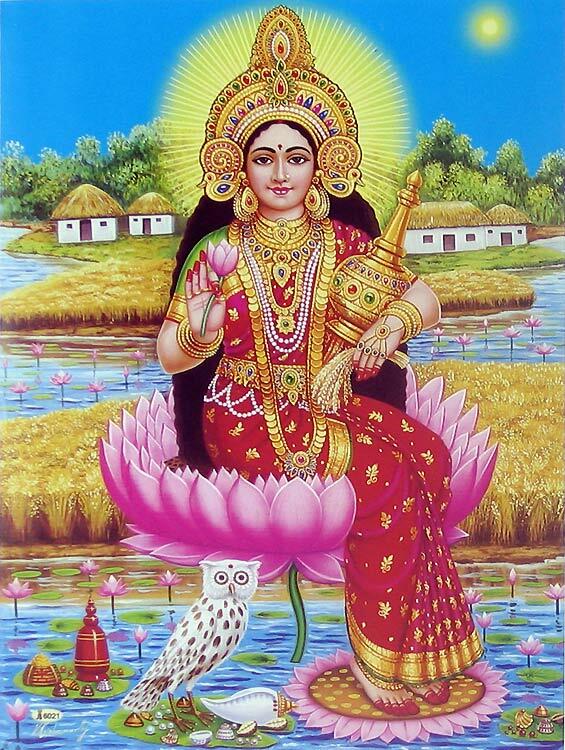 Why not frankly says that Lakshmi looks better walking into our life and Shani not Appreciable.. would be a wiser suggestion.Mahalakshmi is Jagat janani. Naarayani. 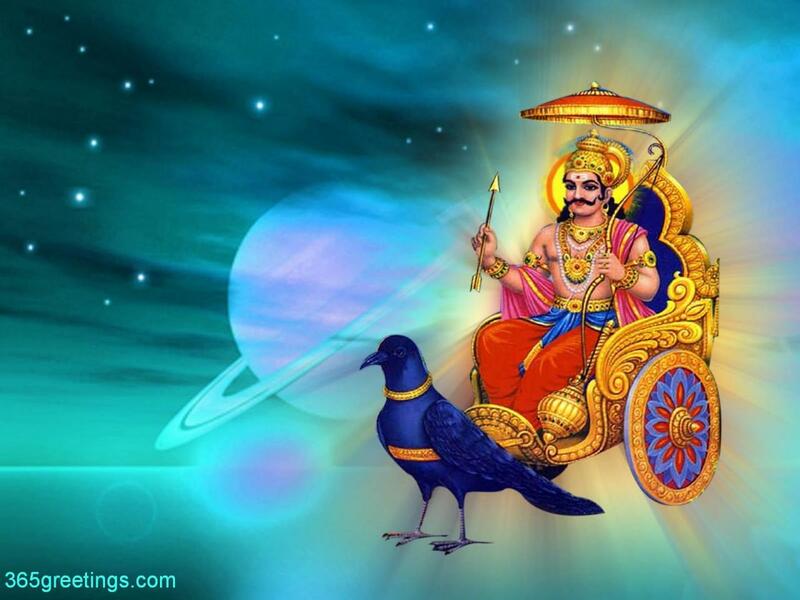 shani is only a rebellious deva. check shani chalisa. always harming everybody. Mahalakshmi does good to every1 and shani always bent on hurting every1.. and if you are gonna say dat its karma.. then did sri Rama had any karma..?? becoz its written in shani chalisa that Rama had to go onto exile only because of shani drishty..So decide yourself.. Its not false that many are concocted stories in Hinduism. tomorrow some1 will come and says the glories of some kutta dev.. then every1 shall try to equate it to Genuine ultimate Naarayani.. Humble request dont just post any unauthoritative tamasic post.. its mislead the less knowing people n leads 1 to greater karma. follow the Bhagvad gita.. the only book for all times..
can we keep a small idol of wooden owl near the lakshmi's photo in the gods room. in which direction should we keep goddess lakshmi's photo.